Even though both Daryl Hall and John Oates are credited with writing “Sara Smile,” it’s a Daryl Hall song. 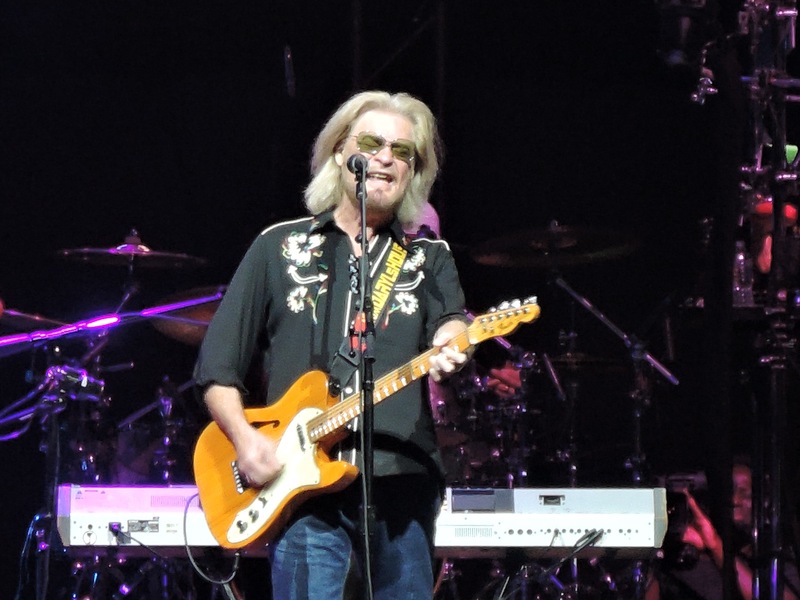 Daryl Hall was living on the Upper East Side of New York in 1975 when he and John Oates began producing material for the “Daryl Hall & John Oates” album – which would come to be known as “The Silver Album” because of its glam rock style cover. Living with Hall at the time was his girlfriend, Sara Allen. Oates had introduced Allen to Hall a few years earlier. According to Oates, he had met a flight attendant – called “stewardesses” in those days – and a girlfriend of hers on the streets of New York and had struck up a conversation with them. One of those flight attendants was Sara Allen. Oates eventually took that chance meeting and turned it into a song titled “Las Vegas Turnaround” that appeared on the duo’s second album, “Abandoned Luncheonette,” released in 1973. He also eventually introduced Hall to Allen. That song was “Sara Smile,” which became the first Top 10 hit for Hall & Oates, reaching No. 4 on the U.S. Billboard Hot 100 singles chart in early 1976. “It was a song that came completely out of my heart. I’ve said this many times – it was a postcard. It’s short and sweet and to the point,” said Hall. But there was no big first-time reveal of the song to Allen. “She was there, in the house. I was just writing the song. I don’t think there was a first time that I played it for her. She listened to the evolution of the song,” said Hall. Both Hall and Oates are credited as writing the song but it’s a Daryl Hall song, according to Oates. Oates said Hall had the song, the music, the chord changes, he was singing the melody and had the chorus. “Over the years, I’ve always just tacitly acknowledged that it was his song, because it was. But he and I wrote the lyrics together,” said Oates. But it was two Oates songs – “Camellia” and “Alone Too Long” – that were slated by the record company to be the two singles released from “The Sliver Album.” At that point in the process, “Sara Smile” wasn’t being considered for release as a single. But Chris Bond – who co-produced the album with Hall and Oates – and Rudolph didn’t think “Sara Smile” was destined to be a single from the album. “The first time I heard ‘Sara Smile,’ I thought it was a really neat song. And that’s all I thought about it. But it did definitely belong on this record,” said Bond. “When I heard the playback the first time of the first take that we’d done of ‘Sara,’ I thought oh, something was happening,” said Bond. “I’m sitting in the control room thinking to myself, oh my God, to me this sounds like a hit record. But everybody keep insisting the hit single was ‘Camellia.’ This was the 1970s. Albums all had concepts – that’s what it was all about. And the concept with ‘Sara’ was that it was like an Al Green song. I wanted it to sound like an old Al Green song from Memphis. “I cut ‘Camellia’ three different times, with three different sections. I did two different string dates on it. I tried it with two different drummers. I even tried cutting it in different studios to see if I could make it sound like a hit to me and it never did,” said Bond. Once “The Silver Album” was released, the two singles, “Camellia” and “Alone Too Long,” did OK on the charts, but nothing spectacular. At that time in the music business, according to Oates, artists had to give a single six to eight weeks to see if it would make the charts and get regular radio play. “By the time those two singles had been released – the album had been released prior to that – you’re talking about being into this album for more than six months. At that point in our careers, six months was an eternity. We were already getting ready to make a new record,” said Oates. “In their minds, we were going to make another record, and in our minds, we were going to make another record,” said Oates. But while the duo was touring, a disc jockey on a small R&B radio station in Toledo, Ohio, decided to start playing “Sara Smile” as an album cut – just because he liked the song. “Simple as that. 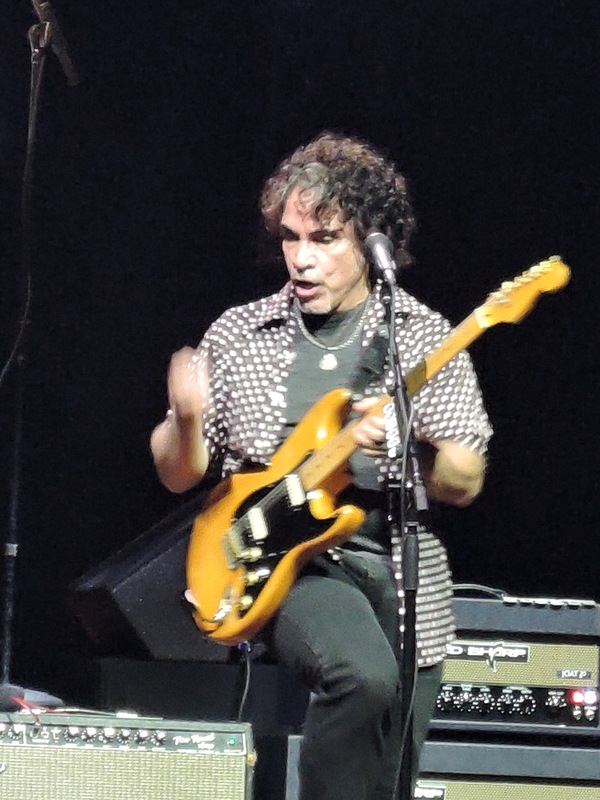 And as soon he began to play it, the phones lit up, people kept calling and asking, ‘Who are these guys, what is this song that you’re playing and where do we get it?’” said Oates. But Bond and Rudolph remember the “Sara” story differently. Hall & Oates were touring England when “Sara Smile” broke in the R&B world, becoming a hit on African-American radio. The song then crossed over into mainstream radio and became a pop hit as well. The song went to No. 4 on the U.S. Billboard Hot 100 singles, No. 6 on the U.S. Cash Box Top 100 singles, No. 18 on the U.S. Billboard Hot Adult Contemporary Tracks and No. 23 on the U.S. Billboard Hot Soul Singles chart. Such a Pure Love Song….. The song is so brilliant that a metal head like me loves it. This song makes me wish my name was Sara so it could be about me. As a vocalist, I want to find a man’s name that fits, so that I can sing it.